Updated conference schedule available here. 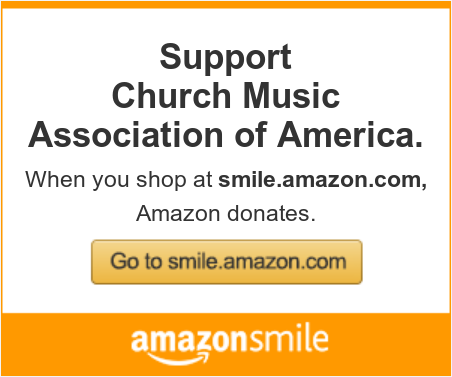  – Which efforts have resulted in a true restoration of the Church’s liturgy and sacred music?  – Upon which principles has authentic liturgical and musical renewal operated in the past?  – Which reform actions have had deleterious effects on sacred music and the liturgy? The conference will include the celebration of vespers (featuring Mozart’s Vesperae Solennes de Confessore) and Missae Cantatae at the Cathedral of Saint Paul and Church of Saint Agnes, featuring an orchestral Mass (Paukenmesse by Franz Joseph Haydn), classical works for organ, chanted Gregorian propers, and a modern polyphonic setting of the Mass ordinary (Messe Salve Regina by Yves Castagnet). The registration fee is non-refundable. All conference presenters are required to register for the conference. Advance registration is required; no on-site registration is available. Conference presenters are required to register for the complete conference ($160). Liturgies (vespers, Masses) are free and open to the public. To pay, click the button below. *Please note: Registration will not be complete until payment has been received. Payment via Paypal (where you can use a credit card with or without a Paypal account) is available. We regret that we cannot accept other forms of payment for the conference. Meals at the conference will be a la carte, meaning that you can choose which meals you’d like to include in your conference payment. All meals are optional with conference registration. A ticket will be issued to you for each of the meals which you purchase. Meals must be pre-ordered on the registration page (deadline also Friday, September 13, 2013). Tickets will be issued to you when you check in at the registration table. The total for ordering all of the conference meals is $99, or you may choose meals individually. Please note that we cannot accommodate those with gluten allergies or sensitivities; there may be gluten in the preparation and/or recipe of each menu item below. We apologize for the inconvenience, but wish to make you aware of this for your health and safety. The conference hotel is the Holiday Inn – St. Paul Downtown. The conference hotel rate is $119 per night for a single or double room. (3 people per room is $129, 4 people per room is $139.) The rate is available 10/13/2013-10/15/2013. In order to obtain the conference room rate, mention “Church Music Association of America” when making a phone reservation, or click here to make an online room reservation. This rate is only valid until 09/13/2013 and is subject to hotel availability. To ensure a room reservation, be sure to book early! More information about the hotel is available at their website: www.histpaul.com. – Ample onsite parking in our ramp is available for $14.00 plus tax per day. – Complimentary wi-fi is available. – The hotel shuttle will be providing free transportation to the Cathedral of Saint Paul and Saint Agnes Church in time for conference events. A schedule of the shuttle departure times will be given to you at check in. – Complimentary shuttle service is available throughout the day within a 3-mile radius of the hotel. The Church of Saint Agnes is located at 548 Lafond Avenue, Saint Paul, Minn., 55103. Click here for a map. The Cathedral of Saint Paul is located at 239 Selby Avenue, Saint Paul, Minn., 55102. Click here for a map and driving directions. The Holiday Inn St. Paul Downtown is located at 175 7th Street West, Saint Paul, Minn., 55102. Click here for a map and driving directions. The hotel does not offer airport shuttle service, however we suggest using local transportation either taxi service or SuperShuttle both located at Ground Transportation at the Minneapolis/St. Paul International Airport. For those staying at the conference hotel (see above), the hotel shuttle will be providing free transportation to the Cathedral of Saint Paul and Saint Agnes Church in time for conference events. A schedule of the shuttle departure times will be given to you at check in. All questions about the conference may be directed to Dr. Jennifer Donelson, CMAA Academic Liaison and conference organizer.